After a series of subjugation, the first National flag of Hindustan was unfurled on 21st August, 1907. This is an attempt to commemorate the occasion and remember the lady who then led from the front. 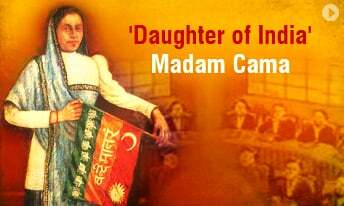 Madam Cama was born on 24th September, 1861 at Mumbai in a rich Parsi family. 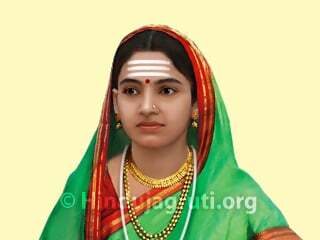 Her mother’s name was Jayji and her father’s name was Sorabji Framji Patel. Her father and brother were big traders in Mumbai. They had a palatial residence at Cumballa Hill. The parents named their daughter as Bhikaji. 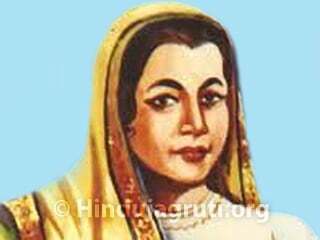 Madam Cama, who completed her schooling in Mumbai, was fluent in four languages English, Gujarati, Hindi and Marathi. On 3rd August, 1885 she was married to Rustom Khurshid Cama who was solicitor by profession, but soon she had to dessert her misbehaving husband who insulted her wifehood. Though the family life was destroyed she did not sit idle. She dedicated herself to social work. In 1896 Mumbai was struck with the Plague epidemic. During that time she, along with other females, served the patients at Parsi Fever Hospital. During the 1899 plague epidemic, she herself was infected with the disease. After recovering, on medical advice, she went to Europe. In Europe she stayed in Germany, France and Scotland for one year each. During her stay she underwent a surgery. On improvement in health, i.e. in 1905, she came to London. There she started participating in activities of Dadabhai Nowrojee’s ‘London India Society’. She became close to ‘India House’, which was the safe haven for Indian revolutionaries. She started delivering fierce speeches regarding Freedom of India, at places like Hyde Park in London. During the same time i.e. 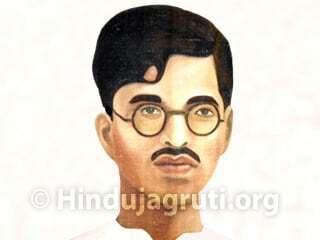 on 24th June, 1906 a young man named Vinayak Damodar Savarkar reached London. During the stay in London, Madam Cama received an invitation of the “International Socialist Conference” which was scheduled to start on 18th August 1907. The conference was being held since the previous ten years. This time the venue for the Annual meet was Stuttgart, in Germany. Savarkar always attempted to garner International support for the issue of Independence for India. 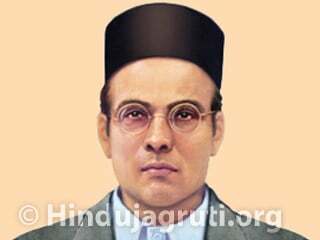 Savarkar suggested that Madam Cama and Barrister Sardarsingh Rana should attend the conference as representatives of India. Savarkar also drafted the resolution that was to be proposed there. On deciding that Madam Cama would propose the resolution during the conference, Savarkar realized that our nation does not have an independent flag for unfurling there. (Congress always hailed and pompously marched the British Union Jack, considering it to be Hindustan’s flag). Savarkar did not sit idle. From his talented personality Hindustan’s Tricolour, the first national flag, was born. Savarkar’s genius was so remarkable that all the flags that were used during freedom struggle and later had a set of three colours. Madam Cama and Bhanumatiji, the wife of Shri Shamji Krishna Varma, themselves stitched this flag, using rich satin and silk cloth of the same three colours. Three such flags were made. The reason being, in the event of seizure of one during police action, the other could be used. To avoid any obstacle that could be created by anybody, Madam Cama carried one flag out of England, having hidden it in her blouse. Barrister Rana carried the other two flags to Paris. Around this time, the British government ordered Madam Cama to leave England. Madam Cama shifted her base to Paris, capital of France. It’s from Paris that she went to Stuttgart. On 21st August, 1907, at the International Socialistic Conference, when Madam Cama unfurled the flag, she also explained the meaning of its colours and symbols. The top stripe of the Flag was Green in colour. 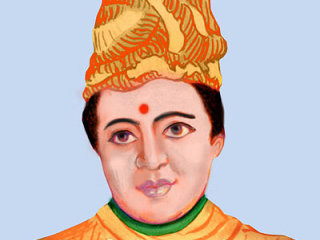 The Eight provinces of India of those days were represented by eight lotus flowers. The slogan “Vande Mataram” for which hundreds of youngsters got their heads broken and also chanted the same while being hanged was inscribed on the centre saffron stripe. The Sun and Moon on the bottom red stripe indicated that India would remain Independent till Sun and Moon continued to grace the skies. The Green colour reflected Courage and Spirit. The Saffron colour indicated victory and Red colour displayed Strength. After reading out the resolution Madam Cama delivered a straightforward speech. At the end of the speech, waving the flag she said “Before I end my speech, I want to tell you that, while I am alive I completely hope to see that the Republican State of India is formed. Vande Mataram”. Later on during meetings of revolutionaries in Paris, a smaller version of the flag was always placed in the center of Madam Cama’s table. She also got one badge of the same flag made. She always carried the badge on her chest. After the conference Madam Cama was invited by American Nationalists in order to propagate the Indian freedom struggle. On 19th October, 1907 she reached America. Even in America, in front of the locals, through her speeches she exposed the British suppression in India. During this time Savarkar’s book “The Indian War of Independence- 1857” was published. Madam Cama declared that this book which was banned by British government would be available at her Paris address. She along with P.T. Acharya published French transcript of the book. After Madanlal Dingra assassinated Curzon Wyllie, Madam Cama visited Savarkar in London. 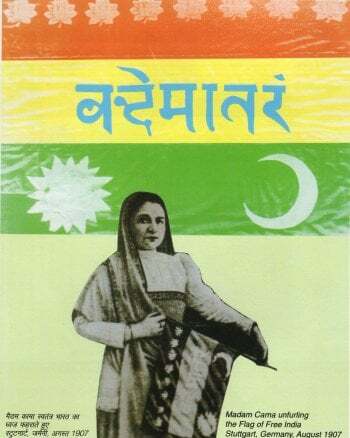 In memory of Madanlal Dingra she started a periodical in September 1909 called ‘Madan Talwar’. In the first week of January, 1910, on account of toiling efforts in the work of revolution, Savarkar started facing health problems. For a weather change, he went from London to Madam Cama’s place in Paris. By this time, Madam Cama had already become his second mother. This unique mother nursed Savarkar for nearly two months. 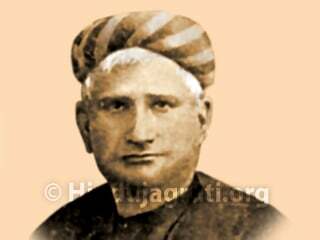 By this time Savarkar was linked to the assassination of Jackson by Anant Kanhere in Nashik. Savarkar had sent the related pistol. Analysing the danger looming over colleagues in India and London, Savarkar felt that staying in Paris was incorrect and decided to go to London. Realising that Savarkar would be arrested immediately on reaching London, Madam Cama became worried. She tried to reverse Savarkar’s decision of going back to London. But Savarkar remained firm on his decision. On 13th March, 1910 Madam Cama and Lala Hardayal accompanied Savarkar to the railway station. A Dark gloom persisted in the mind of Madam Cama while bidding farewell to Savarkar. He was immediately arrested, as he reached Victoria station, and on Judicial orders it was decided to send him to India. Though the government tried to keep it confidential, Madam Cama and her colleagues got the information that Savarkar would be taken to India in the ‘Morea’ Ship. On knowing that the Ship had arrived at the Marseilles port, she drove along with V.V.S. Iyer from Paris and reached Marseilles. She reached 10-15 minutes after Savarkar was caught and taken back on the Ship. On enquiring with the locals about the chaos, she came to know about the incident of Savarkar’s historical dive. She felt very sad, but did not sit quietly. She informed M Jaures, Mayor of Marseilles about the incident. She told Jaures that arrest of Savarkar by British police on France soil was an insult to France and personally sent the news to the newspaper ‘Le Temps’ in Paris. The news of the illegal arrest published in the newspaper spread like fire across the world and caused huge embarrassment for the British government. Realizing that the government will be partial in executing the case on Savarkar, she sent a telegram to Barrister Joseph Baptisita to meet Savarkar as lawyer. Madam Cama’s wish to secure the release of Savarkar was so intense that she visited the British Embassy in Paris and handed over an application to the Ambassador. 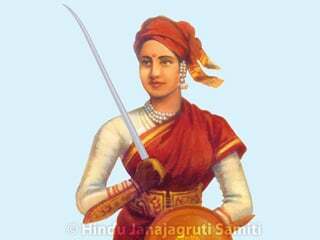 She mentioned that “The onus of sending the pistols to India was mine and not of Savarkar. I gave Chaturbhuj Amin the pistols to carry to India”. This act reflects her courage, dynamism and clear patriotism. She did not stop at that but also sent all information related to Savarkar to newspapers for publishing. On 30th January, 1911, Savarkar was sentenced to life imprisonment. When Savarkar was at Andaman, she also provided financial aid to Savarkar’s younger brother Narayanrao Savarkar for higher studies. Angry British government sent a request to the French government to send Madam Cama back to India, but the French government did not abide by it. During the First World War, Madam Cama used to visit military camps in Marseilles and ask Indian soldiers over there “Would you fight on behalf of those who have forced your motherland into slavery?”. During this war since France and England were allies, Madam Cama was asked to stay outside of Paris and was subjected to report to the police station once a week. Madam Cama still stood firm and was not shaken. After the end of war Madam Cama returned back to Paris and resumed her political activities. But her health was not supportive. Being occupied with the revolutionary activities, she had been neglecting her health. Her financial situation had also deteriorated. Her wish to return to her motherland started getting intense. On severe perseverance and assurance of not participating in the freedom struggle, in 1935 i.e. after 34 long years she was granted permission to return to India. She came to Mumbai, but did not live for long. On 13th August, 1936 she died. No memorial of Madam Cama has been created. But her life’s devotion and the severe pangs she has suffered while staying in foreign countries for the Independence of India should not be forgotten. The nation should pay due respect to her. Some people call the lady who has taken charge of the Rashtrapati Bhawan as ‘Daughter of Maharashtra’, while some others call the lady of Indian origin who stayed in space for six months as the ‘Daughter of India’. 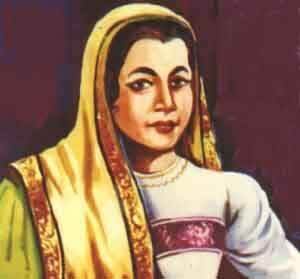 But in true sense, the lady who unfurled the First national flag of India across the seven seas is the real ‘Daughter of Maharashtra’ and ‘Daughter of India’.